Baltimore can be said to be the most popular city throughout Maryland, which means that lots of tourists and locals flock into the city the entire year. Because of this expect a number of tourists, the city is finding ways to accommodate huge number at the same time making sure they will come back or promote the city’s attractions and amenities to other people. There are lots of affordable, cheap, even free attractions and amenities people can visit or spend their time with. Some even have historical values. To get started, check out this visitor’s guide published by CBS Baltimore. 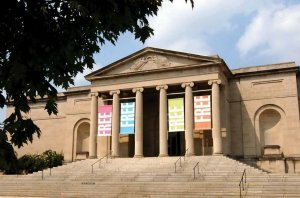 Did you know that the Baltimore Museum of Art houses the largest collection of Henri Matisse works in the world? The Baltimore Museum of Art’s Matisse collection is just one of the many reasons to visit. The museum boasts a wide display of American and European paintings, in addition to the Matisse collection. Other works featured at the Baltimore Museum of Art include American and European sculpture and decorative arts, prints and drawings from the 15th century to the present, works by established and emerging contemporary artists, and an array of gorgeous African and Asian objects. Inside and outside the Baltimore Museum of Art is a treat for art lovers and tourists alike. In addition to the extensive painting, sculpture, objects of art, and decorative arts inside the museum, visitors can wander outside the museum and enjoy two elegantly landscaped gardens with an array of 20th century sculptures the museum calls “an oasis in the city.” With a mission “to inspire creativity, encourage learning, and foster human understanding,” the Baltimore Museum of Art offers an educational, friendly and welcoming atmosphere for all visitors. Baltimore Museum of Art has gone a long way from its simple beginning of just 1 painting on display. Currently, the museum has over 95,000 works of art from various artists. The museum also provided free general admission so that more people, both locals, and tourists can come and visit the museum and enjoy the power of art. This and other efforts to promote the museum and would be known as a vibrant and innovative institution that is totally embraced as an indispensable element of city life. Another awesome and affordable place to visit while in Baltimore is the Inner Harbor Amphitheater. At the Harbor Amphitheater, tourists can find world-class street performers, musicians, singers, even magicians and jugglers, and a whole lot more. Tourists can actually watch these performances for free. Waterfront Partnership of Baltimore is even planning to manage street performers program. Read the article below to learn more. For more than 30 years, locals and tourists alike have enjoyed live entertainment including jugglers, magicians, musicians and more as they strolled and shopped along the Inner Harbor promenade. 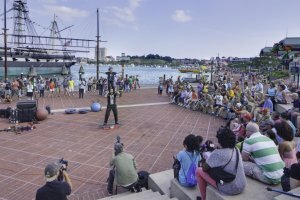 The Waterfront Partnership of Baltimore announced today that the organization will take over management of the Harborplace Street Performers Program, a project of Harborplace Management and the City of Baltimore, and will rename it the Waterfront Street Performers Program. The inner harbor can be considered the busiest and the center of entertainment in Baltimore. As mentioned, there are lots of free entertainment at the Harbor Amphitheater; from musicians, singers to magicians. That’s a wide variety of performers you got there. In addition, during summertime free concerts are given by various bands every weekend. There are always lots of people visiting the harbor all the time. Another must-visit place in Baltimore is the Maryland Science Center. In fact, this is one of the most popular attractions in Charm City where thousands of people visit on a daily basis. It is by the way located also in the Inner Harbor. Lots of awesome exhibits to witness here and Lauren Bassart wrote a comprehensive review and what to expect inside the Maryland Science Center. The Maryland Science Center was a stark reminder to me that learning doesn’t have to be boring. Sitting on Baltimore’s Inner Harbor, with worlds of wonder waiting to be discovered inside, this huge brick building houses many exhibits that stir the senses and educate you, all while still letting you have fun. 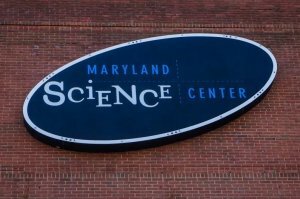 The Maryland Science Center is one of the most interactive and engaging science museum’s we’ve visited to date. It probably has to do with the fact that the museum’s roots date as far back as 1797, when the Maryland Academy of Sciences was first founded as an institution. With a primary goal of educating and interpreting the latest in scientific discoveries, they manage to do so, while also keeping its guests thoroughly engaged and having fun. The combination of interactive displays that are constantly being refreshed and updated along with a rotation of traveling displays plus an IMAX theater, ensures that each visit to the museum will result in a new and fun learning experience. As if that wasn’t a good enough reason to visit, the museums friendly and engaging staff truly live up to the expectations set by Baltimore’s nickname, Charm City. Here are some of our favorite experiences from our day at the Maryland Science Center. If science and technology is your cup to tea, then a visit to Maryland Science Center would make your Baltimore vacation complete. The science center has three levels of exhibits, a planetarium, and an observatory. 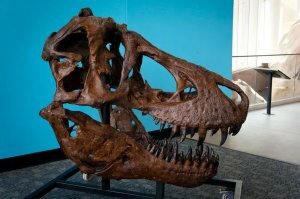 Among the exhibits found inside include Dinosaur Mysteries, Newton’s Alley and many more. Admission fee to the center is inexpensive to attract more visitors. There you have it the best places to visit while in Baltimore. These attractions apart from being affordable, lively and entertaining also have significant historical attachments to what Baltimore is now. To know more about Baltimore and its different attractions, visit https://www.dependablehomebuyers.com/maryland/baltimore/.